The stakes have been raised in a £1bn dispute against Clydesdale Bank and National Australia Bank (NAB) after lawyers for a group of small businesses sent a second letter threatening legal action. 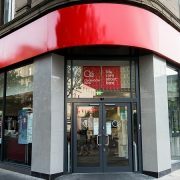 Claim management group RGL Management, which acts for the group, has accused Clydesdale Bank and NAB of acting fraudulently and dishonestly in their selling of Tailored Business Loans (TBLs) to small businesses and individuals who have since suffered alleged collective financial losses of £1bn. TBLs included hedging arrangements and “swaps” that were designed to freeze interest rates for businesses, but meant they often ended up paying more when rates fell. RGL wrote an original letter before action, designed to give a party one last chance to settle before the matter is taken to court, back in December, but sent another letter today which demanded a “substantive response” by May. The letter outlines complaints made against Clydesdale and its subsidiary Yorkshire Bank at a time when it was wholly owned by National Australia Bank. 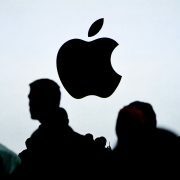 ​Legal action could begin either mid or late 2018. A spokesperson for Clydesdale Bank said it was aware of the second letter but had not officially received it. The group is thought to number hundreds of claimants, with a further 50 registering a interest in joining the action. RGL has urged businesses which has not yet joined the action are no cost, even if some businesses already received some sort of compensation payment as part of the bank’s own “redress” procedures. RGL’s case is funded by Augusta Ventures, one of a number third party funders lending financial support to high-value court cases. Clydesdale Bank was contacted for comment. The lawyers for NAB, Herbert Smith Freehills, declined to comment.